An auto collision is every driver’s worst-case scenario, but the chances of it occurring are diminished if you’re proactive each time you get behind the wheel. Not only will this mindset make you a safer driver, but the decreased chances of a collision will also allow you to enjoy driving more. 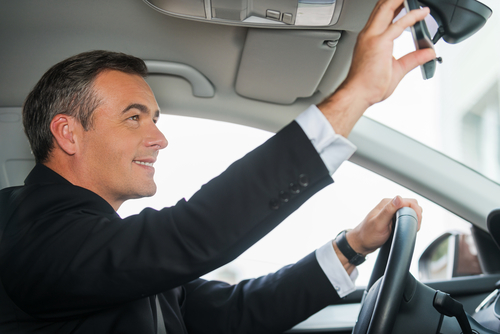 Here are a few safe driving tips to help you avoid accidents. As a defensive driver, you should constantly scan your surroundings to look for possible dangers. Whether you’re driving on the highway or stuck in traffic, get into the habit of driving defensively. Other drivers won’t make the same decisions you would in certain situations. Always keep a distance of about two seconds when you’re following a vehicle, frequently check the side and rearview mirrors, use the turn signals, and don’t speed. Anything you do while driving diminishes your focus on the road ahead. While texting and general phone use have become major causes of accidents, other activities, such as eating and choosing music, can also result in a collision. You might even be in a state where talking on the phone while behind the wheel is illegal. Safely pull over into a parking lot or onto the side of the road before using your phone. You might be the most focused and adept driver on the road, but if you don’t take care of your car, you could still end up in an auto collision. Read the owner’s manual to determine how often your car should get regular maintenance checkups. If components like the brake pads, tires, and lights aren’t properly taken care of, you could find yourself in a precarious situation. While these tips will help keep you safer while driving, you might still find yourself in an auto collision. Located in Cincinnati, OH, Mark’s Auto Body has a highly trained team that can provide quality collision repair services in the aftermath of an accident. With 25 years of experience as a body shop, they’ll work tirelessly to get your vehicle restored to its pre-accident condition by using state-of-the-art equipment. Give them a call at (513) 731-4273 to schedule an appointment, or visit their website to see a gallery of their collision repair work.